2. Go to Settings, and check the Plugins box. 3. 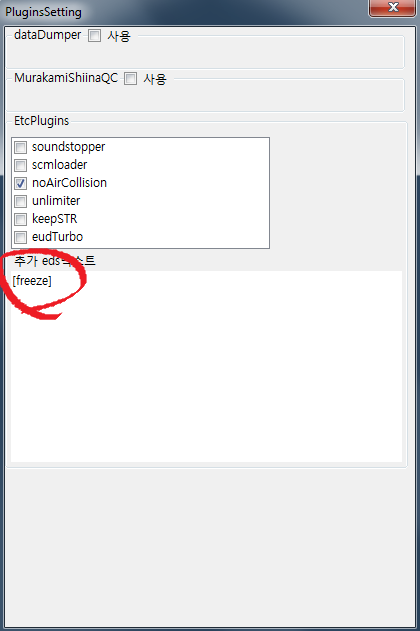 Go to Plugin and write [freeze] in the text box. By doing this, you can FREEZE your map each time you save with EUD Editor 2. Any maps saved with EUD Editor 2 cannot be opened with SCMDraft by default, but the map is still vulnerable to unprotectors. Enabling [freeze] under Plugin will make your map safe from every unprotector known in existence. Make sure you toggle this on! Post has been edited 2 time(s), last time on Oct 27 2018, 3:23 am by lifebot.